A familiar yard element designed to support climbing plants, lattice may be used in a variety of alternative ways. Diamond-slatted lattice—it’s as iconic as, and perhaps more often seen than, white picket fences. While primarily meant as a structural aid for garden vines, lattice may be put to a variety of uses, indoors and out. Here are five favorite not-so-traditional DIY ways to incorporate this classic. Wall suffering a lack of personality? Take country chic to the limit with latticework in a hue that either complements or contrasts your existing paint color. There’s little risk of damaging your drywall or plaster, so give this accent a try; if you don’t love the result, you can easily take the installation down. What the range hood contributes from a functional standpoint, it takes away from an aesthetic one. Fortunately, there’s at least one method of masking the ugliness of this appliance: completely hiding it from view! 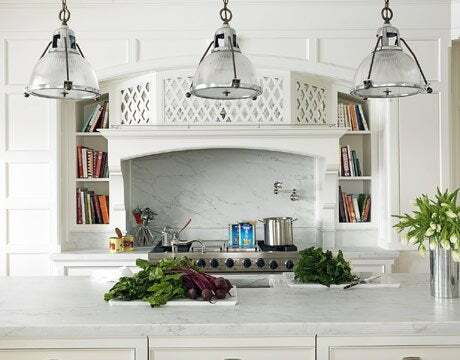 For inspiration, look no further than House Beautiful; its profile of an Allison Caccoma-designed kitchen provides ample, drool-worthy evidence that for the remodeler bent on creating a beautiful space, one can’t-miss approach is laying lattice over mirror-front cabinetry. 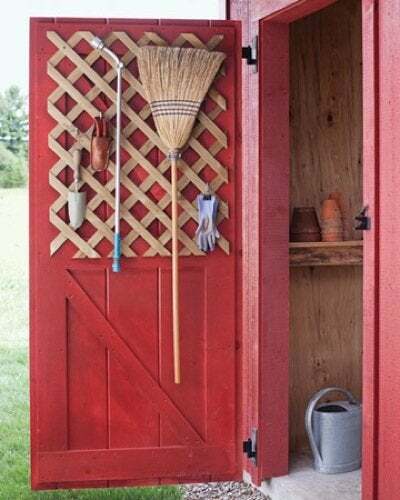 From Martha Stewart, this clever repurposing idea might finally enable you to organize the chaos contained within your toolshed. 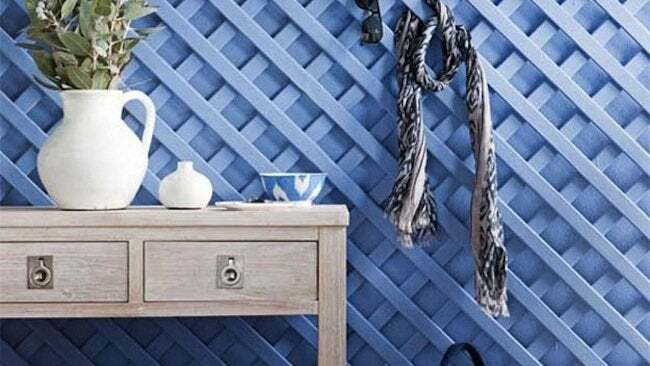 All you need is a square piece of heavy-duty lattice: Cut it to whatever size meets your storage needs, then fasten the piece to your shed door (or an interior wall). S-hooks hold smaller items, while clamps keep larger tools in place. Looking to add a quirky touch to your drab bedroom decor? 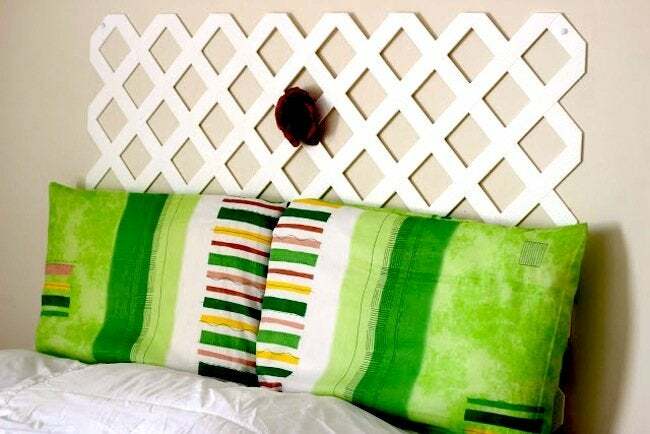 It couldn’t be much easier to make a headboard out of lattice. If you have the necessary tools and materials on hand, the project won’t take more than an hour, and the minimal effort involved is well worth the remarkable result. Outdoor constructions like porches and decks are raised from the ground, leaving an exposed area of dirt or gravel beneath. Lattice may be installed there as a skirting, not only to impart a more finished look, but also to keep out critters. 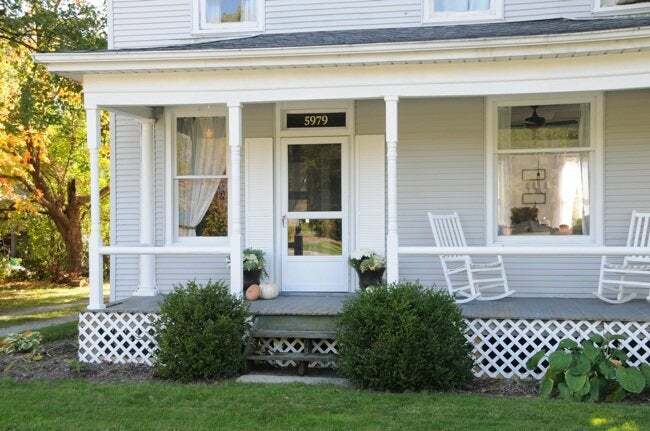 This Old House offers a step-by-step guide to help you start and complete this low-cost, high-impact curb appeal project. Only bear in mind that when it comes to weather resistance, vinyl lattice is superior to wood.